Loyalty program communications are a direct pipeline to a convenience retailer’s highest-value customers. Loyalty programs are a central component of many convenience retailers’ marketing and customer engagement strategies, and for good reason. They collect vital customer data and insights into member behaviors, provide value to members through the accrual and redemption of rewards, and help ensure that a c-store’s most valuable customers have reason to stay true to their brand. What can be overlooked by c-store marketers, however, is the importance of a well-developed communications strategy to the effectiveness of their loyalty program. Loyalty program communications are a direct pipeline to a convenience retailer’s highest-value customers, and optimizing these communications should be a top marketing and business priority. To boost customer engagement through loyalty marketing communications, convenience retailers should define and set goals and metrics, have the right marketing and CRM tools on hand, embrace the mobile channel and understand the importance of their messages’ timing and frequency. Loyalty communication effectiveness starts with outlining a strategy and setting clear goals with specific marketing performance metrics that can be tracked over time. Goals can be as simple as driving new member acquisition, increasing new loyalty app downloads or encouraging new members to make an in-store purchase within the first 30 days of joining the loyalty program. Once measurable goals are established, convenience retailers should develop tactics to meet those goals, for example, sending a “thank you” push notification to members through the loyalty app right after they make a purchase, recognizing and reinforcing the desired behaviors. An effective loyalty communications strategy should also include segmentation with communication streams and campaigns designed to activate those customer segments to purchase and engage with the c-store or brand. But to execute that strategy well, convenience retailers need the right communications tools and capabilities. The right loyalty marketing communications platform should enable convenience retailers to deploy messaging, content and offers that resonate with their loyalty program members and encourage action. It should be able to deliver messages across digital channels – email, SMS, mobile app notifications, social networks – while also personalizing those messages. It must have the ability to test and optimize both content (the messaging itself, as well as subject lines and creative design) and offers (discounts, point bonuses, etc.). And it should provide a level of automation so marketing communications are delivered consistently without requiring staff or management to manually manage the process. These capabilities allow the convenience retail marketer to continuously improve their communications and maximize the performance of their loyalty marketing initiatives. A welcome/onboarding series of messages to educate members and get them accustomed to interacting with the program. Recognizing member behavior through triggered messages based on events such as purchases or app downloads. Also, sending promotional messages with a test to determine which offers drive better engagement and transactional behavior. With time, more advanced personalization and segmentation can be incorporated. For example, transaction data can recognize that a member regularly buys coffee, prompting the retailer to include a complementary offer like 2 for 1 breakfast tacos in the next promotional message. The effectiveness of communications like these examples increase considerably if they’re delivered through the mobile channel. By communicating with members through loyalty program apps, convenience retailers can take advantage of different capabilities, including geolocation, mobile ordering and mobile payments. The mobile app is very effective as a communications channel because loyalty program members are primed to engage with it – 31% of US consumers that participate in a convenience loyalty program use a mobile app to manage and redeem their rewards, including 60% of 18- to 34-year-olds. Here’s the lesson: mobile apps should be central to any loyalty communications strategy. But even with a mobile app in place, message timing and frequency still matter. Communication frequency should be based on purchase frequency, which will vary by customer segment. 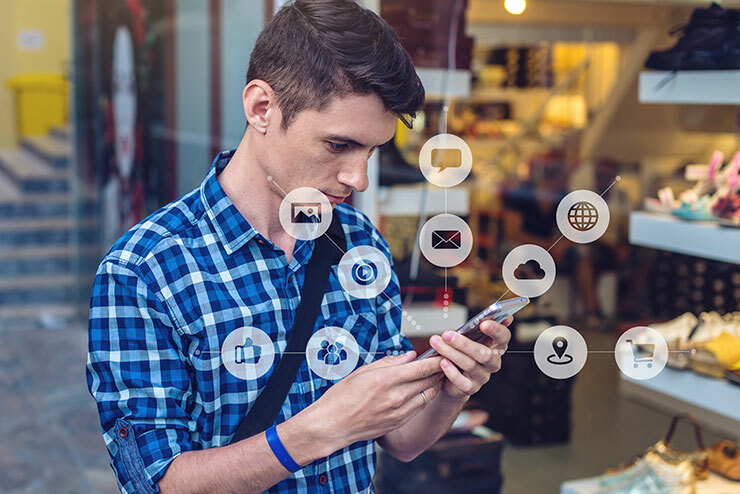 Convenience retailers need a platform that can create communication streams based on those segments and prevent the once-monthly customer from being bombarded with daily messaging. Ideally, messaging should be tailored and timed to drive the next best action that pushes the customer into the next purchase frequency segment. Another method is synchronizing messaging with the time of day. If a customer segment consistently visits the c-store in the morning, a convenience retailer may want to send communications out early in the morning to match customer behaviors. But the communication must be relevant. For example, sending a discount offer on coffee refills via mobile app push notification at 6 AM is more likely to be redeemed than a pizza deal at the same time. This is how loyalty communications can be contextualized based on customer location (and time) to drive greater engagement. An effective loyalty communication strategy that boosts customer engagement is within reach for most convenience retailers. By setting solid measurable goals, having the tools and teams to achieve those goals, leaning into the mobile channel and focusing on timing and frequency, convenience retailers can leverage the asset that is their loyalty program to great effect. For many convenience retailers, the first step will be to identify a technology partner that can provide the tools and guidance they need to reap the benefits of a strong loyalty marketing communications strategy.